There are so many fun things to do in the valley of the sun and here are some going on this weekend around the Phoenix, AZ metropolitan area. FREE 21+ Pool Parties! 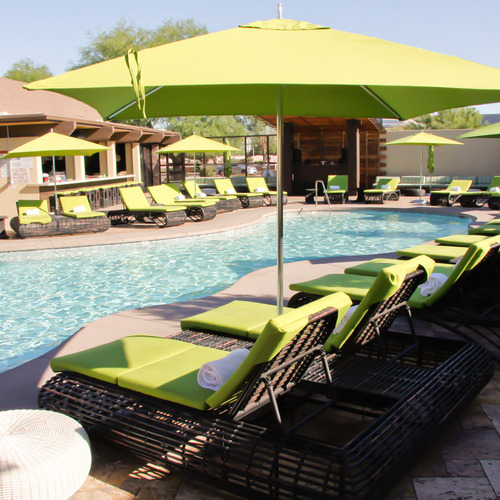 The Talking Stick Resort is hosing one from 11am-6pm this Saturday and Sunday – ages 21 and up. They are located at 9800 E. Indian Bend Road, 480-850-4350. There is also one at El Santo Cantina from 11am-sunset on Saturday and Sunday. They are located at 7301 E. Butherus Drive, Scottsdale, 480-584-3801. Farmers Markets around Phoenix: Phoenix Public Market, 721 N. Central Ave, 8am-noon this Saturday. Ahwatukee Farmers’ Market, 4700 East Warner Road, Phoenix, Az 85044, open Sunday from 8am-11am. Roadrunner Farmers’ Market, 3502 E. Cactus Rd, Phoenix, AZ 85032, open Saturday from 7am-11am. 6th Annual Tukee Fest: “Rockin in the Park.” 6pm-10pm, Saturday, September 28th, Ahwatukee Park 4700 East Warner Road, Phoenix, AZ 85044. Enjoy live music, sports games, live motocross jumps and tricks, food and drinks available for purchase from Nello’s Pizza, Macayo’s and Tom’s BBQ. Tickets are $10 for adults and $5 for kids 12 and under. Vampire Weekend Concert: 8pm Friday, September 27th. Comerica Theatre, 400 W. Washington Street, Phoenix. Tickets are $29.50-$39.50. 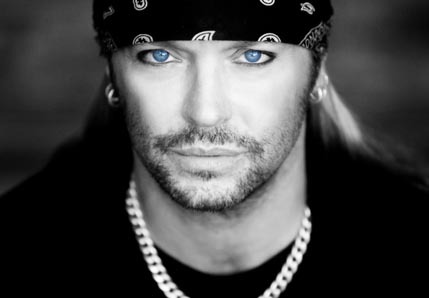 For all you Bret Michaels fans out there, he will be performing live in Phoenix this weekend. Keith Urban Concert: 7pm Sunday, September 29th. Ak-Chin Pavilion, 2121 N. 83rd Ave, Phoenix. Tickets are $29.25-$59. Jimmy Eat World Concert: 8pm Sunday, September 29th. Marquee Theatre, 730 N. Mill Ave, Tempe. Tickets are $30 at the door and $27 in advance. Steve-O performs live at the Tempe Improv all this weekend. Friday and Saturday nights at 7pm and 10pm and on Sunday at 7pm. 930 E. University Drive. Tickets are $20-$35. Age 18 and up. Two drink minimum required. 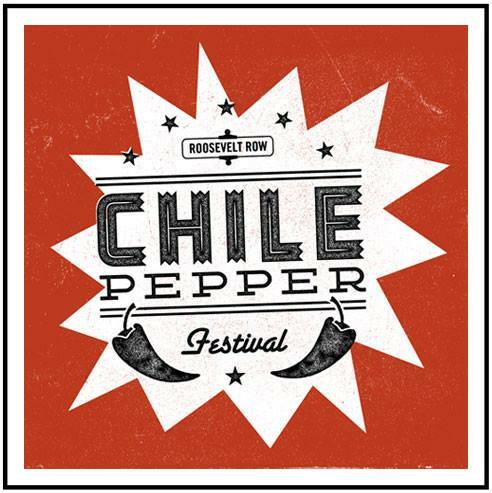 The 2nd Annual Roosevelt Row Chile Pepper Festival is going on this weekend in Phoenix, AZ. 2nd Annual Roosevelt Row Chile Pepper Festival. Saturday, September 28th from 5pm-11pm at the A.R.T.S. Market, 408 E. Roosevelt St., Phoenix. $10 in advance, $15 at the gate. The Taste at Tempe Marketplace: Help raise money for the local Boys and Girls clubs while enjoying samples from 10 different local restaurants. 5pm-8pm, Sunday, September 29th. 2000 E. Rio Salado Pkwy. Tickets are $40 for one or $70 for two. Symphony Idol: “American Idol” alums join the Phoenix Symphony this weekend only to showcase pop inspired tunes. Friday, September 27th at 7:30 pm or Sunday, September 29th at 2pm. Tickets are $18-$83. Symphony Hall, 75 N. Second Street, Phoenix. These fun-filled fall events are not only great for Phoenix Locals, but for the business traveler as well! There is bound to be one (or more) events going on this weekend that will please your whole crowd. If ever there is a need for corporate housing or short-term fully furnished housing or full property management in the Phoenix metro area, AvenueWest Phoenix can help you out. Contact us today – we would love to find you the perfect housing solution! Feel free to mention the Pogo Pass!!!! 14+ Venues in the Phoenix valley all included! Check it out at http://www.pogopass.com and don’t forget to use discount code: SAVE60 to get 60% off! !